Apply foundation and concealer: NARS Sheer Glow in Fuji with a Real Techniques Expert Face Brush + Maybelline Dream Lumi Touch Concealer. You want a really flawless face for your night out, so make sure to pick a foundation that will give you full and long-lasting coverage. 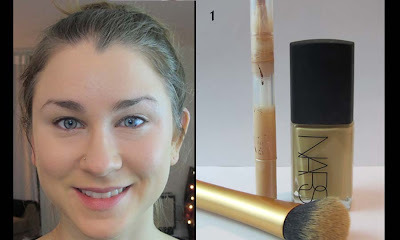 I love NARS Sheer Glow because the coverage is amazing but it leaves your skinny a bit dewy, which is great for night time. 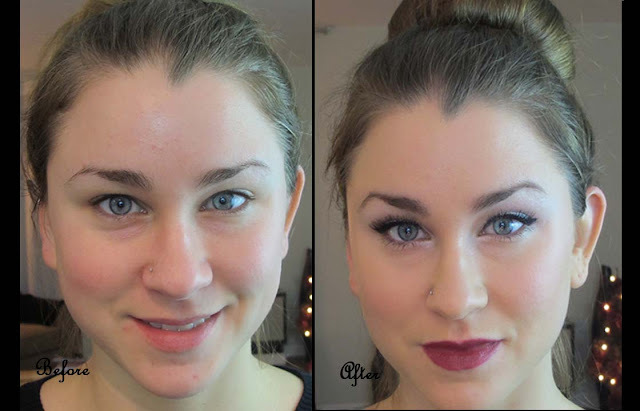 This provides a great canvas for your makeup and the white tone makes it look more formal and classy. 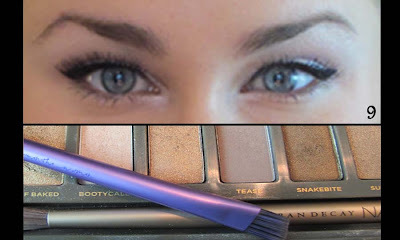 Bringing the color to directly under your eyebrow will make your eye area look bigger and create the illusion of a raised brown. 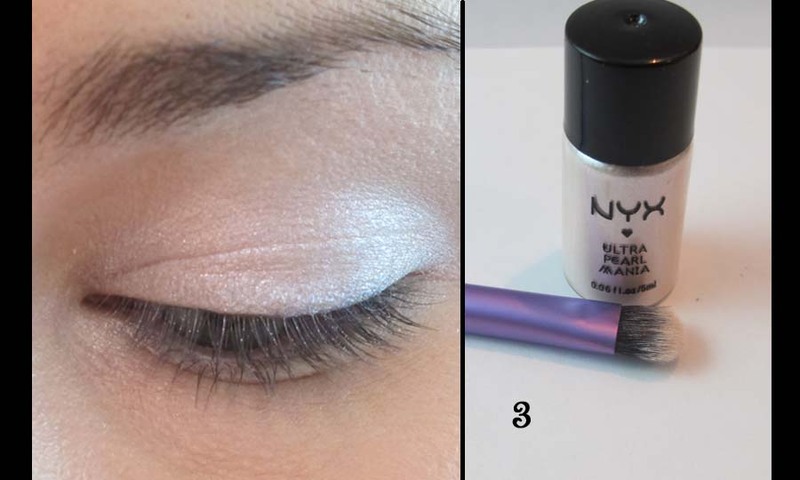 Apply a shimmery pink eyeshadow all over the lid: NYX Ultra Pearl Mania Loose Pearl Eyeshadow in Pearl (go figure) + Real Techniques Shadiing Brush. 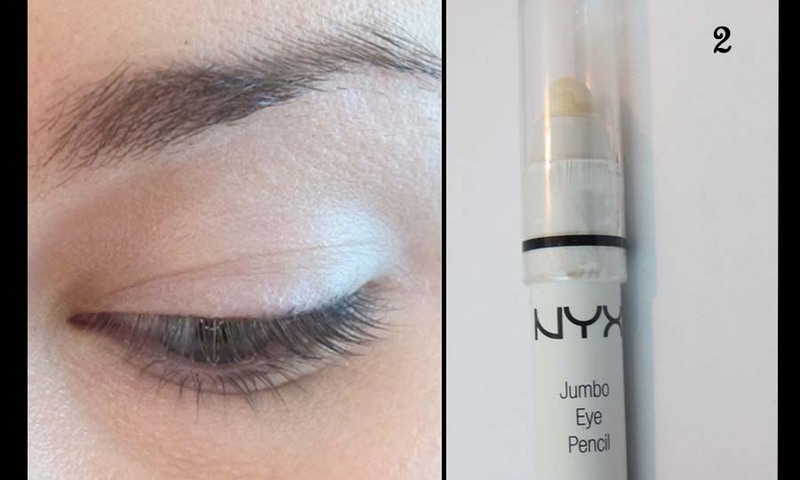 I love NYX products because they are so cheap- this product was $2.99! Perfect if you want to get a certain color eyeshadow for one specific occasion. I love a light pink shimmer for this look because it warms it up and catches the light :-). Use a windshield wiper motion to softly blend a deep rose colored eyeshadow into the crease: Illamasqua Complement Palette + MAC 217. There is nothing better than a deep rose color, it's one of my favorite colors for eye makeup especially this time of year! 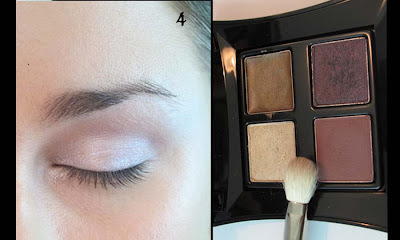 This will help define your crease and create much more depth to your makeup. 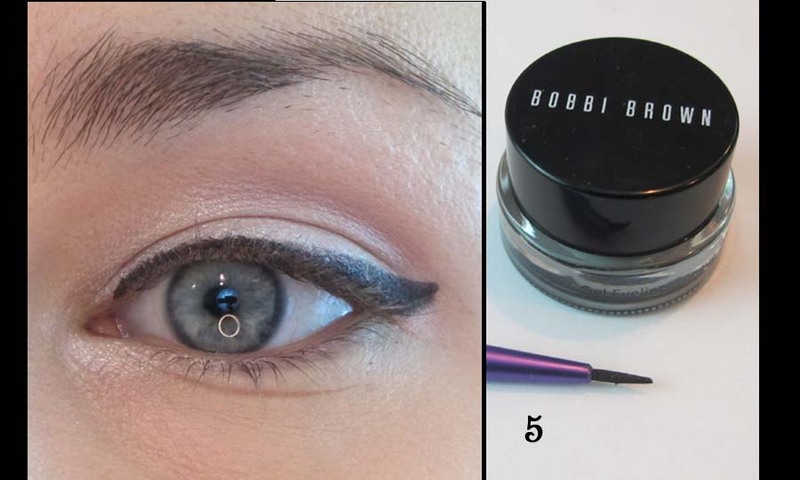 Create a winged line along the upper lash line: Bobbi Brown Gel Eyeliner in Black Ink + Real Techniques Fine Liner Brush. This will be the tricky part for most people, but using gel liner and a brush will make it easier than a liquid liner. I promise after some practice this will get easier, I certainly didn't come out of the womb knowing how to do eyeliner! The smaller your lid, the thinner the line should be. A line that is too thick will overwhelm your lid and make your eyes look smaller while hiding the pink eyeshadow. Start in the middle and use short strokes to work the line towards the middle and then the outside. I will do a post soon specifically on creating the flick! Mascara and falsies: Maybelline Illegal Length Mascara + Eyelure false lashes in Naturals. Do not curl your lashes, this will make it more difficult to put on the false ones. 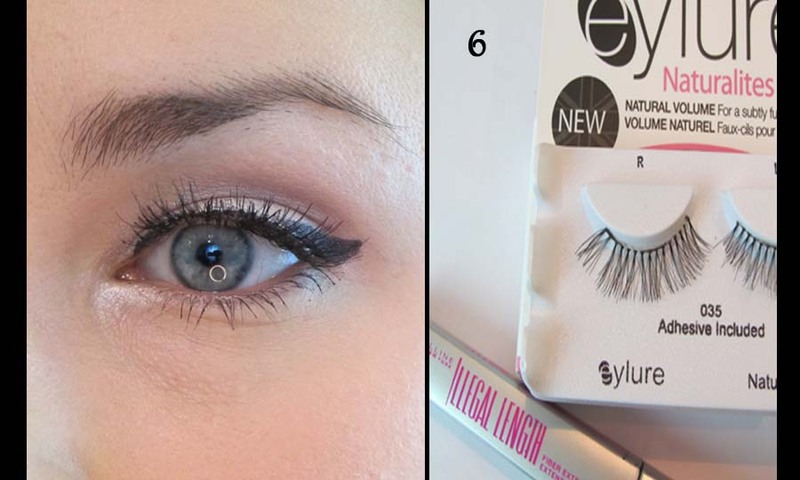 I love these lashes from Eyelure because the vein of the lash is very think, making them super easy to work with. Post to come on tips for applying false lashes :-). I like using this neutral colored blush for contour instead of a bronzer, I find that it looks more natural. 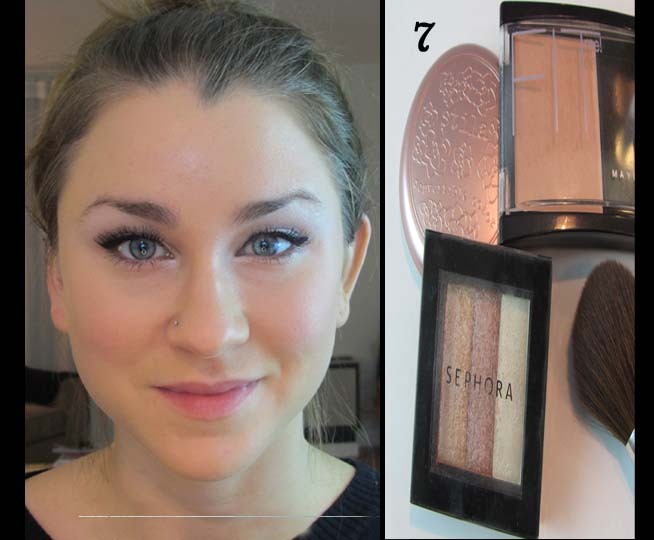 Make a fish face and blend the product where the shadows naturally happen. Apply the blush to the apples of your cheeks and sweep back towards the hairline. 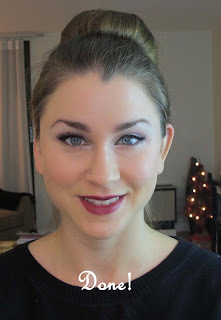 Put the highlight on the tops of the cheek bones where the light would naturally hit. 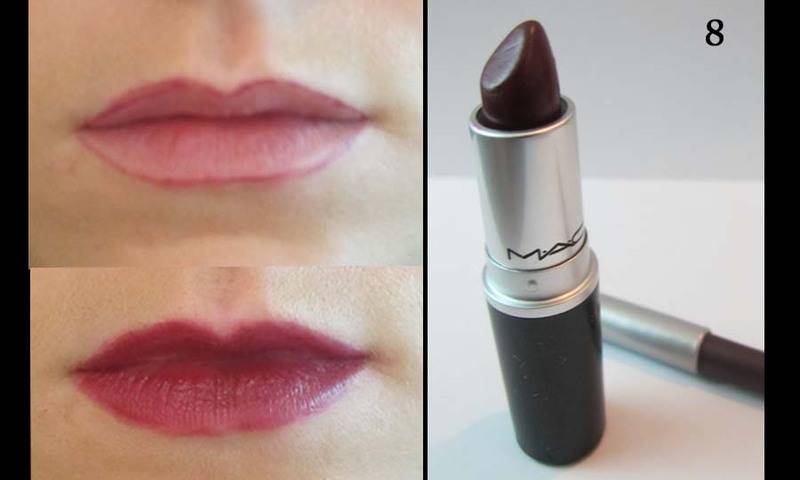 For extra long-wear, fill in your entire lip with the lip liner prior to applying your lipstick. I do this for formal looks. Filling in the spaces in your brows helps to give them more shape, which will define your whole face. It will make you look more put-together. It seems like a lot of steps but this look is SO do-able and wear-able! Let me know your thoughts and go check out Eldy's Pocket for the outfit to go with this makeup!! Tweet me a picture if you try this! What shade of the Maybelline blush did you use?